England Under-20 defender Reece Oxford made his first Bundesliga start in Borussia Mönchengladbach's 1-0 defeat to Freiburg on Matchday 16. The disappointment of the result aside, Oxford impressed in an unaccustomed right-back role. The West Ham loanee attempted the joint-highest number of challenges of any player on the pitch (24), alongside teammates Jannik Vestergaard and Denis Zakaria. What is more, he won 63 per cent of them, with only Gladbach's Matthias Ginter enjoying greater success in the tackle. 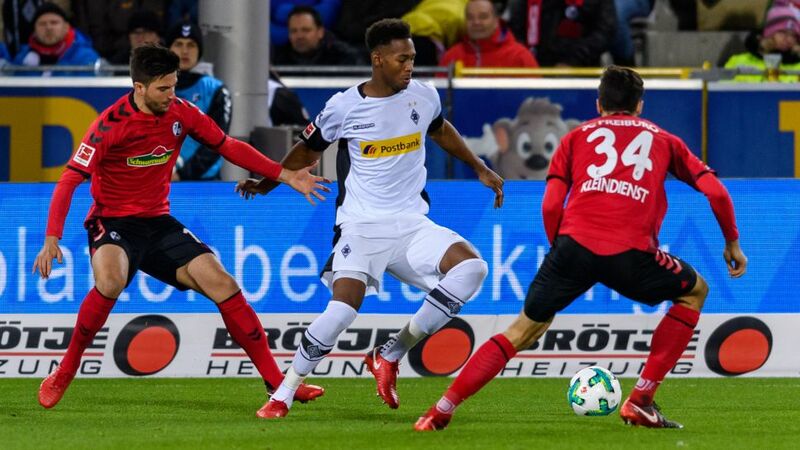 Oxford joined Gladbach on loan from English Premier League side West Ham United in the summer, but had only played a single minute in the Bundesliga prior to the Freiburg loss, coming on as a late substitute in the 3-1 victory over Hoffenheim on Matchday 10. There has been speculation surrounding the 18-year-old's future in Germany, with Gladbach sporting director Max Eberl insisting that the club "certainly want him to stay". Oxford, who played a key role for the Foals in pre-season, will be looking to kick on and help Gladbach return to winning ways in their final Bundesliga outing before the winter break at home to Hamburg on Friday, 15 December. Click here for more Borussia Mönchengladbach news, views and features!